Gambia’s President-elect Adama Barrow has just been sworn in at the country’s embassy in Dakar, Senegal. In his inaugural speech, Barrow thanked all Gambians, both home and abroad for standing behind him in his race to the presidency. “Now I know power belongs to the people,” he said. He also thanked President Buhari of Nigeria and other Head of States in Africa for their support in the past few weeks. Barrow also called on all arms personnel shout to the barracks. 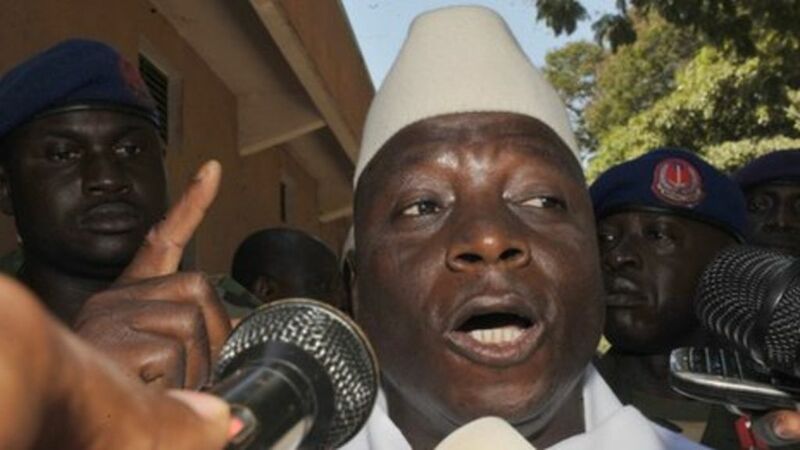 The incumbent President, Yahya Jammeh has refused to step down from office after ruling the country for over 24 years. Just yesterday, he declared a state of emergency in the country.